Valentine’s Day may have passed, but that doesn’t mean romance has to go completely out the window. At least not if you plan on dining at newly opened Sotto 13, a West Village Italian tapas restaurant named one of “America’s Most Romantic Restaurants” by Travel + Leisure. Sure to be loved by aspiring mixologists and romantics alike, Sotto 13 features the city’s first Do-It-Yourself Prosecco bar that allows brunchers to become their own mixologists with a bottle of prosecco and a tray of five mixers, including signature fresh juices, liqueurs and toss-ins like candied ginger, fresh berries and more. 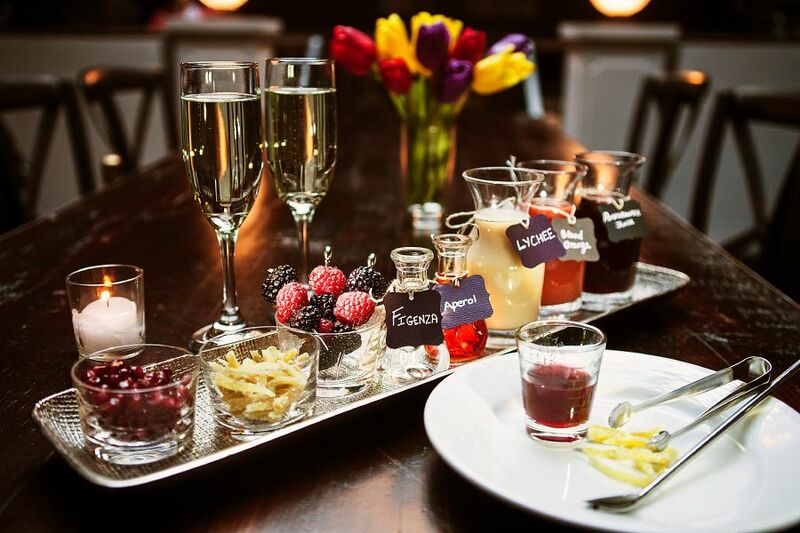 Brunchers can use the provided recipe card or freestyle it to craft their very own bubbly brunch cocktails. Priced at $55 per DIY tray, which includes one bottle of Prosecco, the concept isn’t easy on the wallet but makes for a unique experience for that special occasion. For the more budget conscious brunchers and the boozehounds, Sotto 13 offers a $25 AYCD boozy brunch that includes your choice of a couple tapas or a wood-fired pizza and unlimited brunch cocktails for 2 hours. With AYCD beverage choices that include bloody mary, mimosa, raspberry white-peach bellini, sangria and screwdrivers, you’re sure to find something that will keep the buzz going. 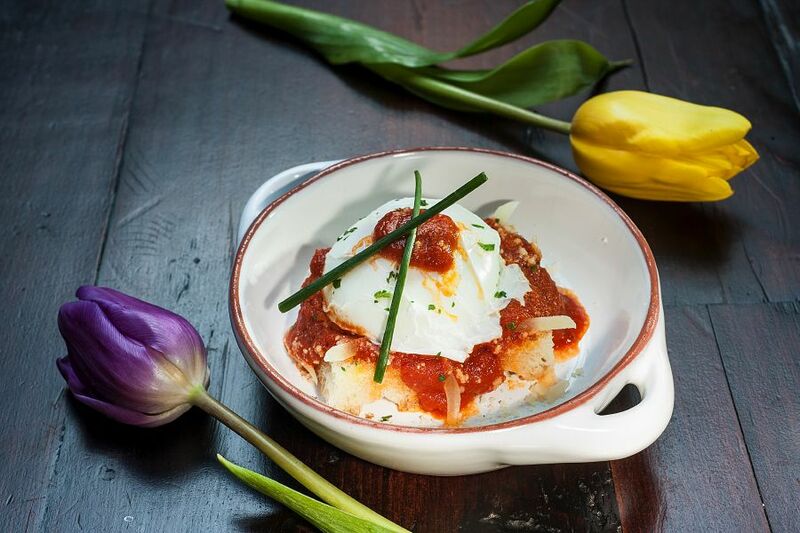 Brunch highlights include Italian inspired breakfast tapas like Cacio e Pepe with soft scrambled eggs topped with Cacio cheese, Baked Crispelle spinach ricotta crepes with creamy tomato sauce, and Tuscan poached egg on rosemary foccacia with pomodoro and parmigiano. A variety of crisp wood-fired brunch pizzas topped with all sorts of toppings like buffalo mozzarella, spicy fennel sausage, wild mushrooms, grilled vegetables and more, round out the self-proclaimed “Social Italian” menu. 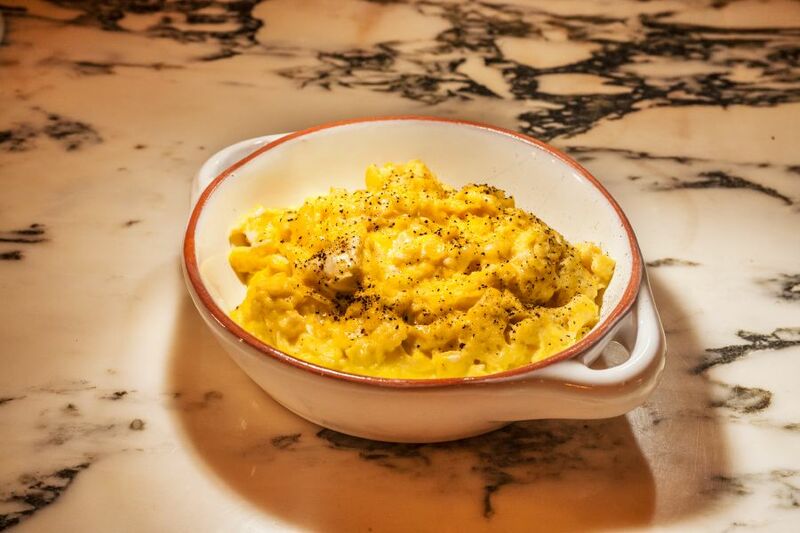 So whether you’re feeling romantic, in the sharing mood, or you just want to get your drink on, Sotto 13 has a new twist on brunch that will surely satisfy.